Have you found an online vendor selling Port Morant 1990? 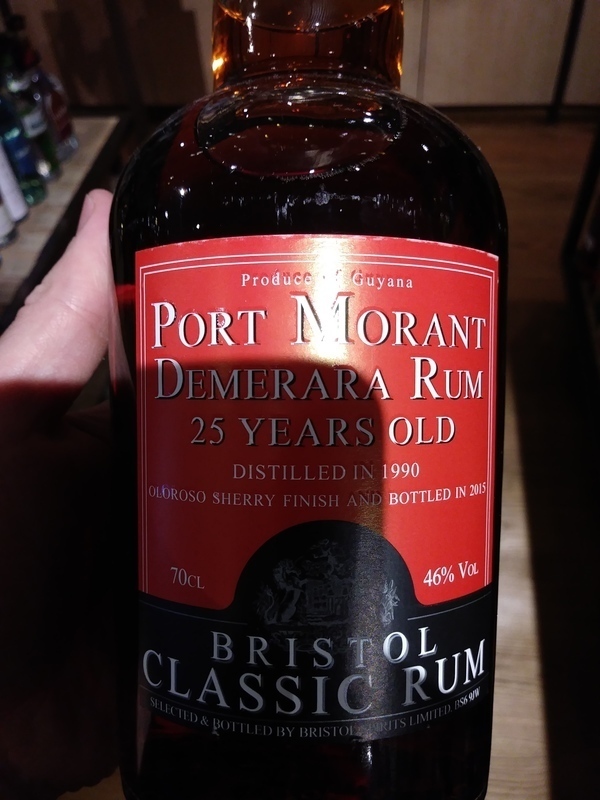 Enjoyed a bottle of Port Morant 25y 1990 Vintage Rum after I got back home from London. Old school bottle and label design. Surprisingly dry and woody. More whisky like than I was hoping for. Cherries don't really belong in this flavor profile. Quite a burn at the end. Expensive gimmick rum in my books. Fun Fact: Port Morant (the way it is spelled on the label) is a rum-distillery town in Jamaica...but this rum is actually from Port Mourant, a rum distillery town in Guyana. Anyway, lots of flavors to enjoy here, including a touch of chocolate, sour cherries and tobacco. I don't care that much for the finish, when the heavy funk of leather and very overripe fruit lingers a little too long for me. Still, it's a really good rum, a presumably pure 25-year-old from the shores of the Demerara River, deep in the tropical rainforest. Nose is rich, and filled with molasses and sherry/fruity notes. Taste is dry but still with some fruity notes, and maybe raisins? Aftertaste is long, pleasent and dry, with leather, oak. Let it open up in the glass! Single barrel rum. Good stuff but beware this is not a typical Demerara.